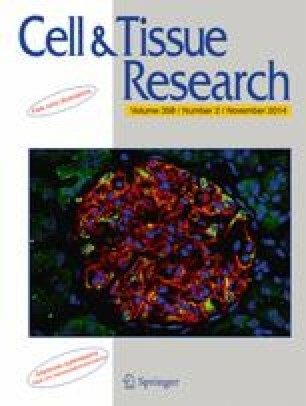 Although the immunomodulative properties of mesenchymal stem cells (MSCs) open up attractive possibilities in solid-organ transplantation, information concerning the optimal dose, route, timing of administration, major histocompatibility complex (MHC)-restriction and relevant mechanisms is currently lacking. Therefore, better characterization of MSC immunoregulatory activity and elucidation of its mechanisms are crucial. In this study, we confirmed that MSCs did not elicit proliferation by allogeneic CD4+ T cells, suggesting that MSCs were not immunogenic. By using C57BL/6 mouse MSCs as donor-derived or recipient-derived or as third-party MSCs, we discovered that MSCs suppressed CD4+ T cell proliferation and prolonged mouse cardiac allograft survival in a dose-dependent and non-MHC-restricted manner. We also found that intraperitoneal administration favored survival prolongation, although this prolongation was weaker than that via the intravenous route. Only infusion at earlier time points favored survival prolongation. Depletion of CD4+CD25+ T cells did not affect the immunosuppression of MSCs on CD4+ T cells. Moreover, MSCs did not induce regulatory T cells. The in vivo data revealed that MSCs did not increase the percentage of CD4+CD25+ T cells and FoxP3 expression. More importantly, we demonstrated for the first time that depletion of CD4+CD25+ T cells did not hinder MSC-induced survival prolongation, indicating that CD4+CD25+ regulatory T cells were not essential for the prolongation of MSC-mediated allograft survival. This work was supported by grants from the Project Sponsored by the Scientific Research Foundation for Returned Overseas Chinese Scholars, State Education Ministry (Project-sponsored by SRF for ROCS, SEM), China (no. 2008890) and from The Educational Department of Liaoning Province, China (no. 2008824). The funders had no role in the study design, data collection and analysis, decision to publish, or preparation of the manuscript. The experiments were conceived and designed by X.J. and C.L. The experiments were performed by J.H., D.G., J.G., J.Y., K.J., Z.C., L.Z. and L.L. The data were analyzed by J.H., W.S. and J.Y. Reagents/materials/analysis tools were contributed by D.G. and J.L. The manuscript was written by X.J., J.H. and D.G.